We thank God that we have had volunteers from all ages step up to help at this year's VBS - some from Peace and others from the community. Everyone has been caring and careful to share the abundant love of Jesus our Savior who gathers us. Thanks again! VBS A Success in Sowing god's Love! 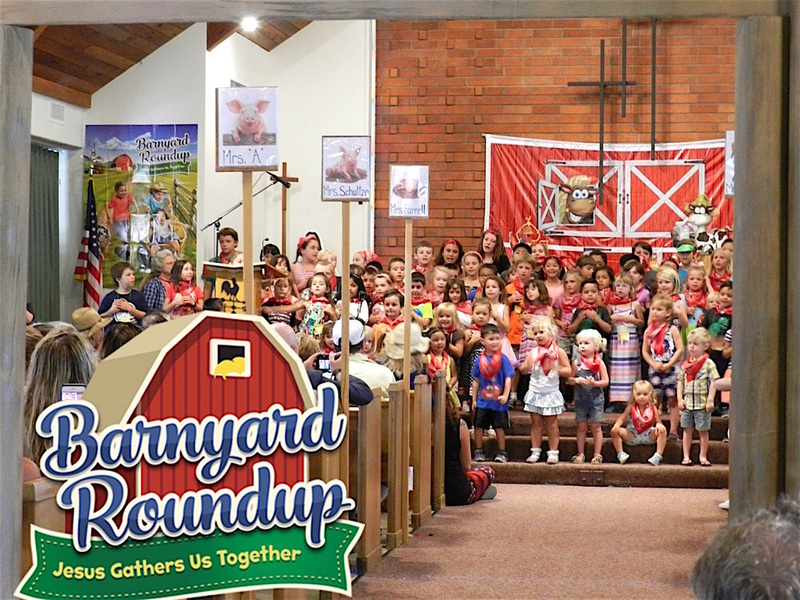 VBS Barnyard Roundup has gathered community members up for a good time this summer! 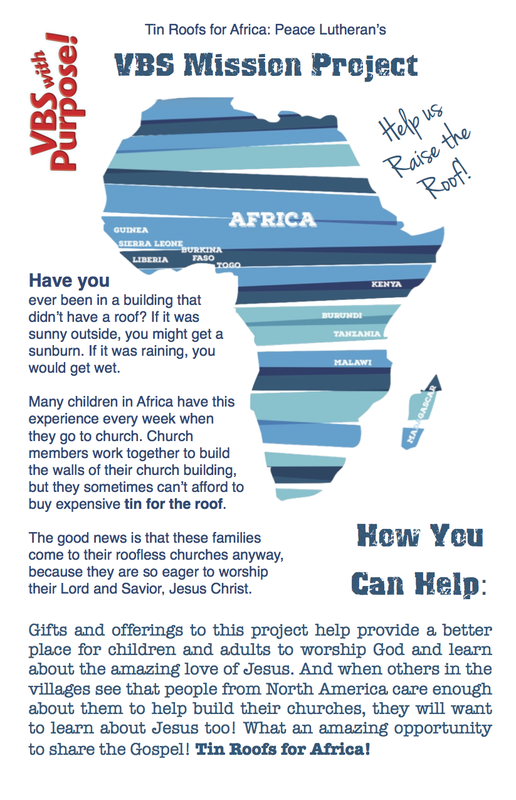 If you would still like to contribute to our campaign to "raise a roof" for our church neighbors in Africa, click HERE and follow the instructions. When prompted choose "other" and just type in "VBS Offering." Thanks for your support!